from over 70 countries/ regions. With more than 80% direct participation from manufacturers, you can gain better product knowledge direct from the source to make a more informed purchasing decision. 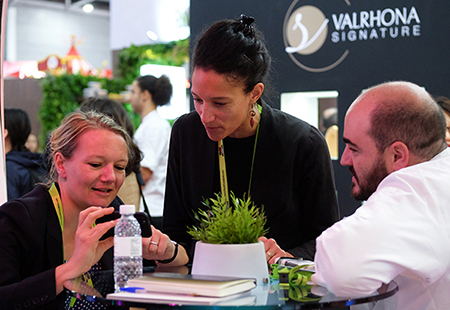 Expand your source with an unrivalled number of 54 international group pavilions and a balanced mix of exhibitors from all continents. Discover new trends and business opportunities with hundreds of new exhibitors and new product launches. Forge new business networks with 48,000 attendees from 100 countries/ regions expected at Asia’s largest gathering of the F&B and hospitality industries. Witness a series of world-class culinary competitions, learn new ideas and pick-up a tip or two from competitors and judges around the world. Waiver of the SGD80 admission fee. connect and schedule meetings with exhibitors. Join our mailing list and get the latest updates and important developments about the show. Download our post Show Report for some useful statistics and a quick overview about the show.